adopt a penguin, penguin adoption, penguins, seabirds, seals, sealions, Falklands penguins, penguins of Chile, penguins of Argentina, Falkland Islands penguins, Argentine penguins, Chilean penguins, working with penguins. - No 'symbolic' adoptions here - you adopt your very own penguin. 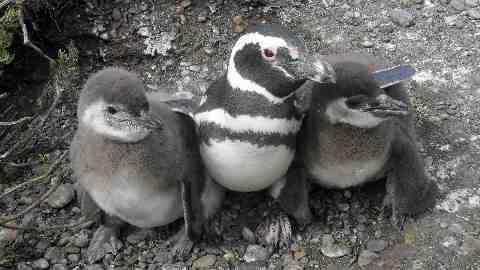 Our work to save penguins has featured in TV documentaries around the world. You can view TV documentaries featuring our work on YouTube in (ENGLISH), (GERMAN), and (SPANISH). We featured in BBC TV's highly acclaimed series "EXPLORE: Patagonia to the Pampas" (VIEW THIS PROGRAMME). 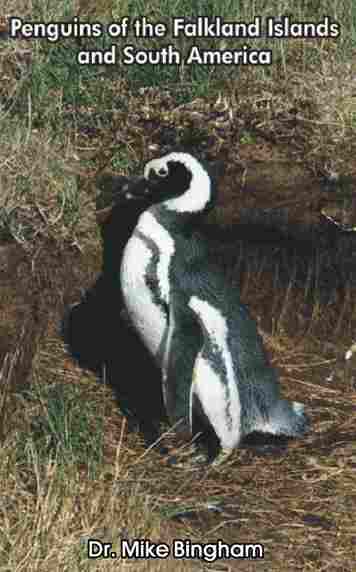 The Organization for the Conservation of Penguins is the only independent organization conducting research on penguins and seabirds across the Falkland Islands, Chile and Argentina. Its aim is to provide information about penguins and seabirds, and to promote successful harmony between commercial activities and environmental protection. 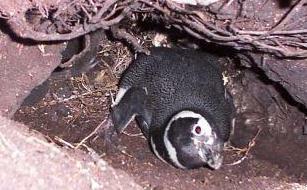 The Organization for the Conservation of Penguins has over 2000 subscription paying members world-wide, and receives the backing of the British, Chilean and Argentine governments. Picture Gallery 2 features SEALS & SEALIONS. Picture Gallery 3 is our GUIDE to FALKLANDS BIRDS. Our PENGUIN RESEARCH page presents detailed scientific reports on our penguin research, and you will find issues relating to Falklands wildlife discussed in our NEWSLETTER. 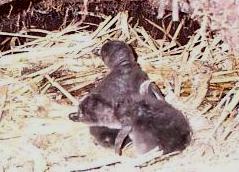 The Organization for the Conservation of Penguins has received international acclaim for its work to save penguins. Our campaign to protect Falklands penguins from over-fishing and oil pollution brought us into conflict with government officials, who attempted to stop our work through bribery, harassment, false arrests, and threats of imprisonment and deportation. This led to an historic court battle in which the Falkland Islands Government were found guilty of human rights abuse in the Supreme Court (Read about our Supreme Court victory). You can read press reports of our work to save Falklands penguins, and the campaign of harassment against us, in newspaper articles published in The Daily Post, The Sunday Independent, The Observer, The Sunday Times, The Guardian, The Mail on Sunday, Index on Censorship and Birdwatch Magazine. Our work also featured on TV in the BBC2 series Explore: Patagonia to the Pampas (www.bbc.co.uk/programmes/b00hcgtq), in a series of three documentaries shown on Discovery Channel's Animal Planet (PARAMOUNT PICTURES) and on Germany's Mare TV (Mare TV - Feb 2006). Mike Bingham has also been added to the International Who's Who of Professionals in recognistion of his work to save Falklands penguins. There are four ways you can help support our work to save penguins. 1. Make a Donation by Credit Card or PAYPAL. 2. Support our work through our ADOPT-A-PENGUIN programme. 3. Purchase our book Penguins of the Falkland Islands and South America for immediate download at $3.95, or for delivery as a paperback at $10.95. 4. Purchase our book The FALKLANDS REGIME, which accounts Bingham's heroic struggle to protect penguins in the Falklands, despite government harrassment and death threats, which led to Bingham's historic Supreme Court victory for Human Rights Abuse. (Paperback $18.75, ISBN: 1420813757).